Win a double pass to Victoria and Abdul | Daily Review: Film, stage and music reviews, interviews and more. 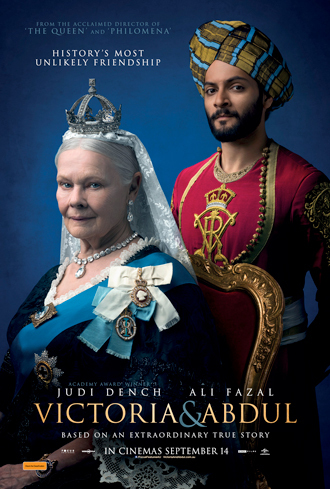 Victoria and Abdul tells the true story of an unexpected friendship in the later years of Queen Victoria’s (Academy Award winner Judi Dench) remarkable rule. When Abdul Karim (Ali Fazal), a young clerk, travels from India to participate in the Queen’s Golden Jubilee, he is surprised to find favour with the Queen herself. As the Queen questions the constrictions of her long-held position, the two forge an unlikely and devoted alliance with a loyalty to one another that her household and inner circle all attempts to destroy. As the friendship deepens, the Queen begins to see a changing world through new eyes and joyfully reclaims her humanity. Daily Review has FIVE double passes to give away to the film, in Australian cinemas September 14. For your chance to win, enter your details here and make sure you’ve liked us on Facebook to boost your chances of winning. “Victoria and Abdul” is a great movie to inspired the true friendship without class gaps . There has so many mysteries stories about Victoria’s life. I am very excited and love to see this beautiful movie about famous Victoria’s stories. 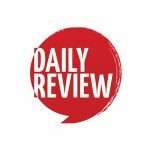 Hopefully, I would have luck opportunity from Daily Review . Thank you very much for this wonderful opportunity. A beautiful story of an unlikely bond between an aristocrat and peasant and how protocols are modified and thinking challenged to overcome discrimination and see a friendhsip flourish- what a beautiful story ! Love to watch a true story of Victoria & Abdul . It would be a very delightful and interesting movie . Happiness in friendship of all dominations of people is a great thing to form . I would surprise my wive with the tickets if I was lucky enough to win them .